Senior MCU lecturer Natalia Mukhina has successfully launched an American Studies elective course for the 2nd year students. Natalia developed the course after having spent a year teaching in Colorado by support of the Fulbright foreign language teaching assistant scholarship (FLTA 2014-15). Besides teaching, Natalia attended several courses at the Colorado State University on such acute social issues, as ‘Ethnic identity, class and gender’ and ‘African-American intellectual thought’. Based on the current intellectual trends of the American society, the course became extremely popular among the students, attracting more than 65 listeners. The course comprised an interactive part, for example, watching TED Talks (“The New American Dream”, “Whitopia”), reading English articles such as “Why Do Most Russian Women Hate Feminism?” by Diana Bruk and watching the documentary “Malcolm X”. At the end of every seminar the students were asked to write an essay on the topic of discussion. 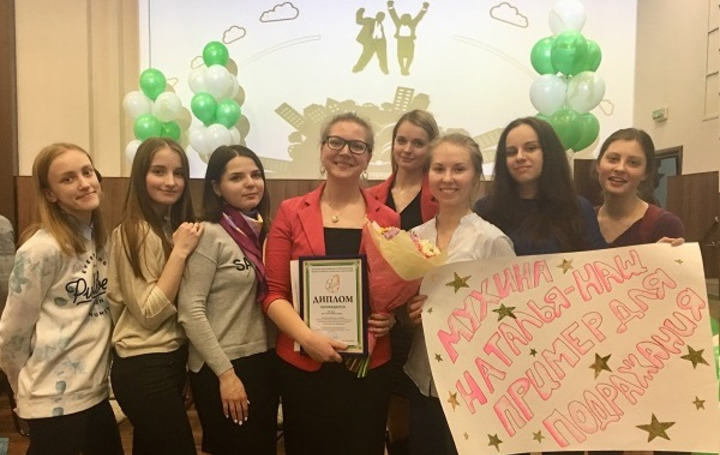 “During our discussions I tried to cultivate an unbiased attitude that the students can apply when thinking and talking about the current issues of Russia”, explains Natalia. The course was finished with a big feedback query where the students provided their opinions on the quality and relevance of the course and their personal involvement. It showed that many students were trully inspired, some of them were pleased to have an opportunity to speak out openly and be heard. Obviously, there were several unsatisfied students who disagreed with the conclusions of the course, however, Natalia appreciates such result as it proves the controversy of the topics raised. For the next year Natalia plans to launch a cross-cultural project ‘Russia vs. the US’ where the students will be offered to become engaged in a comparative analysis and discussion of such issues as ethnicity and feminism in Russia and the US.